Feed your lawn organic fertilizer. Fertilizer sections at nurseries, garden centers, and supply stores dazzle the gardener. The shelves are piled with boxes and bottles, the floors covered with bags stacked high. Labels identify the package contents as “rose food” or “vegetable food,” “lawn fertilizer” or “general-purpose fertilizer.” In some stores, you’ll find bins filled with bone meal, blood meal, or hoof-and-horn meal ― all labeled “natural fertilizer.” Choosing the right products to keep your plants healthy can often be a bit confusing. Regardless of its type, any fertilizer you buy will come with information about the nutrients it contains. Prominently featured will be the N-P-K ratio, the percentage the product contains by volume of nitrogen (chemical symbol N), phosphorus (P), and potassium (K). A 16-16-16 fertilizer, for example, contains 16% nitrogen, 16% phosphorus, and 16% potassium. A 25-4-2 formulation contains 25% nitrogen, 4% phosphorus, and 2% potassium. All fertilizers contain at least one of these components; if any is missing, the ratio will show a zero for that nutrient (a 12-0-0 fertilizer contains nitrogen but no phosphorus or potassium, for instance). Boxed, bagged, and bottled products display the N-P-K ratio on the label. For fertilizers sold in bulk from self-serve bins, the ratio is noted on the bin; for future reference, be sure to write the information on the bags you fill and bring home. A fertilizer containing all three major nutrients is called a complete fertilizer; a product that supplies only one or two of them is an incomplete fertilizer. Using a complete fertilizer for every garden purpose seems sensible, but in fact it isn’t always the best choice. If the soil contains sufficient phosphorus and potassium and is deficient only in nitrogen (as is often the case), you can save money by using an incomplete fertilizer that provides nitrogen alone (ammonium sulfate, for example). In some instances, complete fertilizers can even harm a plant. Exotic, bright-blossomed proteas, for example, will not tolerate excess phosphorus: they “glut” themselves on it and then die. The inexpensive soil test kits sold at garden centers can give you a rough idea of the nutrients available in various parts of your garden; for a more detailed evaluation, you may want to pay for a professional analysis. By revealing which nutrients may be lacking, such tests can help you choose an appropriate fertilizer. The various products labeled “general-purpose fertilizers” contain either equal amounts of each major nutrient (N-P-K ratio 12-12-12, for example) or a slightly higher percentage of nitrogen than of phosphorus and potassium (such as a 12-8-6 product). Such fertilizers are intended to meet most plants’ general requirements throughout the growing season. One type, used during the period of active growth, contains largely nitrogen. Such products, with N-P-K ratios such as 16-6-4, are often used in spring, when you want to encourage lush growth or green up your lawn. Another type is meant to stimulate root growth, stem vigor, and flower and fruit production. Fertilizers of this sort contain little nitrogen and higher levels of phosphorus and potassium; the N-P-K ratio may be 3-20-20, for example. These products are applied at different times and in different ways, depending on what you want to achieve. When you prepare a new planting area, for instance, you’ll work a dry granular fertilizer of this sort deeply into the soil, putting the phosphorus and potassium where roots can absorb them. The nutrients help strengthen the new plants’ developing stems and encourage the growth of a dense network of roots. To promote flower production and increase the yields of fruit or vegetable crops, you apply the same sort of fertilizer to established plants after they’ve completed their first flush of growth. You can use either dry granules, scratching them lightly into the soil, or apply a liquid formula with a watering can or a hose-end applicator. A third group of fertilizers is designed for use on specific plants. These feature the N-P-K ratios determined to elicit the best performance from the particular plant, as well as other elements proven valuable to that plant. Such fertilizers are named according to the plant they’re intended to nourish. Especially useful are formulas for citrus trees and acid-loving plants such as camellia and rhododendron. Recently, other such plant-specific fertilizers have appeared on nursery shelves, each claiming to be the best choice for a certain plant or group of plants; you may see several sorts of “tomato food” or “flower fertilizer,” for example. The jury is still out on the benefit of many of these products, and you will often do just as well to use a general-purpose type. The main distinction is often the price: the “special” formulas are usually costlier than general-purpose kinds. Synthetic fertilizers. These products are derived from the chemical sources listed on the product label. They’re faster acting than organic kinds and provide nutrients to plants quickly, making them a good choice for aiding plants in severe distress from nutrient deficiencies. Synthetic fertilizers are sold both as dry granules to be applied to the soil and as dry or liquid concentrates to be diluted in water before application. In dry form, they’re usually less expensive than their organic counterparts. In some of the dry granular types (those known as controlled-release fertilizers), the fertilizer granules are coated with a permeable substance; with each watering, a bit of fertilizer diffuses through the coating and into the soil. Depending on the particular product, the nutrient release may last anywhere from 3 to 8 months. Organic fertilizers. Organic fertilizers are derived from the remains of living organisms; blood meal, bone meal, cottonseed meal, and fish emulsion are just a few of the many available types. Organic fertilizers release their nutrients slowly: rather than dissolving in water, they’re broken down by bacteria in the soil, providing nutrients as they decompose. Because these fertilizers act slowly, it’s almost impossible to kill lawns or plants by applying too much (overdosing with synthetics, in contrast, can have potentially fatal results). Some manufacturers combine a variety of organic products in one package, then offer them for general-purpose or specialized use. 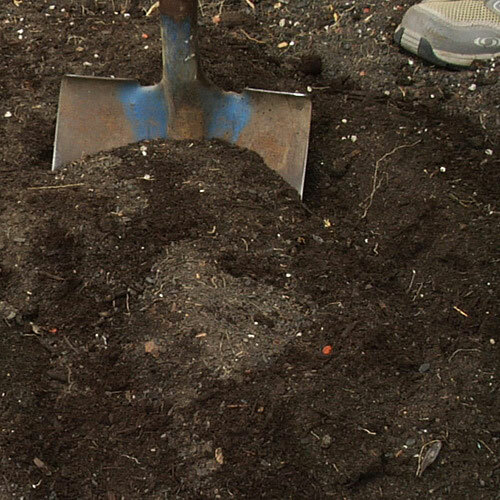 Two commonly used soil amendments ― compost and manure ― have some nutritive value and can be used as part of an organic fertilizing program. 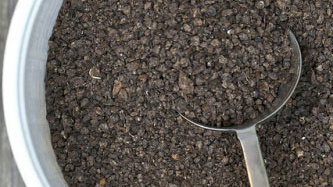 The N-P-K ratio of compost varies from 1.5-.5-1 to 3.5-1-2. Chicken manure’s N-P-K ratio ranges from 3-2.5-1.5 to 6-4-3; that of steer manure is usually a little less than 1-1-1. Fertilizers containing seaweed are gaining favor with many gardeners. Besides providing nutrients in a form immediately available to plants, seaweed contains mannitol, a compound that enhances absorption of nutrients already in the soil, and various hormones that stimulate plant growth. And the carbohydrates in seaweed break down rapidly, nourishing soil-dwelling bacteria that fix nitrogen and make it available to plant roots. Mixed with water and sprayed directly on foliage, seaweed-containing fertilizers can have dramatic effects in a matter of days. Plants green up and begin to produce new growth, and those that are weak stemmed and straggly straighten up and become stronger. Был найден мной полезный web-сайт про направление профессиональная уборка квартир. Нашел в интернете полезный веб сайт про направление уборка квартир после ремонта. Узнайте про интересный блог со статьями про дом в киевской области.